IMPORTANT - The users must have the Lone Working Permission enabled. If this is not enabled the users will not be able to use the app. 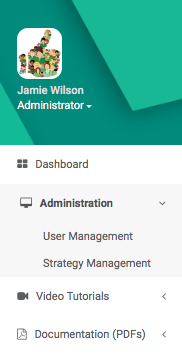 To get started you will need to head over to the side menu on the left hand side and click on Administration then User Management. 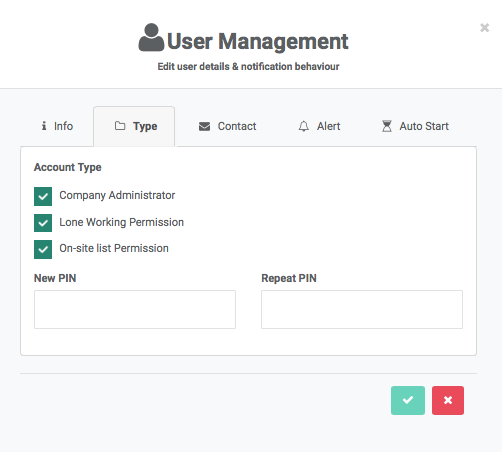 Once you are in User Management you will need to click on the Users Tab. Once you find the user click the pencil located on he right hand side. head over to the Type Tab make sure that the Lone Working Permission is ticked in green. If this is not ticked then the Lone Working permission is not on. Once you have ticked the box make sure to save the changes by clicking on the tick at the bottom right next to the X button.